The War of the Worlds is a science fiction novel by English author H. G. Wells first serialised in 1897 by Pearson's Magazine in the UK and by Cosmopolitan magazine in the US. The novel's first appearance in hardcover was in 1898 from publisher William Heinemann of London. 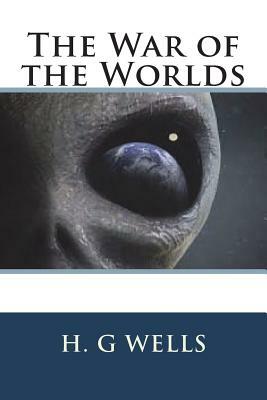 Written between 1895 and 1897, it is one of the earliest stories that detail a conflict between mankind and an extraterrestrialrace. The novel is the first-person narrative of both an unnamed protagonist in Surrey and of his younger brother in London as southern England is invaded by Martians. The novel is one of the most commented-on works in the science fiction canon. The plot has been related to invasion literature of the time. The novel has been variously interpreted as a commentary on evolutionary theory, British imperialism, and generally Victorian superstitions, fears and prejudices. At the time of publication, it was classified as a scientific romance, like Wells' earlier novel The Time Machine. The War of the Worlds has been both popular (having never been out of print) and influential, spawning half a dozen feature films, radio dramas, a record album, various comic book adaptations, a television series, and sequels or parallel stories by other authors. It was most memorably dramatized in a 1938 radio program that allegedly caused public panic among listeners who did not know the Martian invasion was fictional. The novel has even influenced the work of scientists, notably Robert H. Goddard, who, inspired by the book, invented both the liquid fuelled rocket and multistage rocket, which resulted in the Apollo 11 Moon landing 71 years later.